At AppsArmy, we offer a wide range of services to our clients, from mobile app development to PPC management. We focus on helping clients of all sizes, from startups to enterprises, develop and realize their dreams with cost effective solutions. 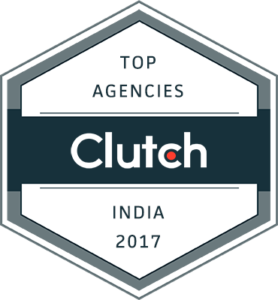 Our experienced team provides creative solutions that bring your business to new levels, which is why we are excited to announce that we have recently been featured as a Top India PPC Management Company by Clutch, a ratings and review platform based out of Washington D.C., in their annual research. Clutch is a ratings and reviews firm covering top development companies and agencies like us around the world. Their comprehensive research methodology evaluates thousands of companies based on their market presence, previous work experience, and proven ability to deliver. Most importantly, the Clutch team speaks directly with current and past clients to conduct reviews to hear first-hand how each firm performs. We look forward to improving and continuing our Clutch presence and want to thank our clients for their positive feedback. We look forward to being included in Clutch’s annual research again next year!